Does Your Non Profit Have a Blog? Keeping in touch with your donor base, volunteers, and supporters is an ongoing job for nonprofit directors. It seems that just a few years ago, printed and mailed newsletters were the mainstay communication method for nonprofit organizations (NPOs). These days, we’re more likely to see emailed newsletters or shorter email “blasts” that keep interested folks informed. But what about keeping your supporters engaged? Marketing has migrated from making numerous impressions to creating ongoing dialogs. To do this successfully, you need to rethink your strategy and method of communication. Have you considered writing a blog? Blogs are not only easy to keep updated with fresh content and event listings, they also provide a way for your donors and supporters to communicate with you. By allowing your audience to follow, subscribe to, and comment on blog posts, you’re giving them the opportunity to make a deeper connection. After all, if they’re on your mailing list, they are already supporting the cause, and likely to engage even further. Be Consistent: Check in with your NPO’s marketing team or graphic designer before you start. They may want to be help you set up the blog to ensure it stays within the established standards for your organization’s brand, logo, colors, etc. Do a Little Research: There are thousands of articles on the web that will show you how to start a blog. WordPress and Blogger are two popular platforms that make it easy, with templates and customizable plug-ins that can have you up and blogging in minutes. Check Out the Competition: Look around on the web to see how other nonprofit organizations handle their blogs. You may get some great ideas about what to do—and what NOT to do—with yours. Write to Your Audience: Blogs can be as formal or casual as you want. Using a standard newsletter format is a good way to get started. Include items of interest, news updates, and reminders of upcoming events. You can even add surveys, photos, book reviews, and lots of other features that your readers may find helpful. Post Often: Don’t have a “dead” blog. People want to hear from you. But how often is enough? How much is too much? You’ll find your rhythm, but for starting out, one post per week is the minimum frequency you should aim for. Be Patient: It takes time for a blog to gather steam. You might feel that nobody is reading your posts, but check the statistics and you’ll likely see a growing audience. Just stick with it, promote it to your donors and supporters, and your readership will grow! Best Buy is committed to its employees, its communities, and the environment. The company is one of corporate America’s biggest donors to charity. Through cash, merchandise and time donations, the corporation and its employees give back to America’s youth in a big way. Best Buy donates up to 1.5% of its pretax earnings to dozens of national organizations through the Best Buy Children’s Foundation. Their focus is on social programs that help children, plus disaster relief, scholarship programs, and services that strengthen communities. Examples include Boys and Girls Clubs of America’s Tech Club, MOUSE (Making Opportunities for Upgrading Schools & Education), and Toys for Teens (in conjunction with the US Marine Corps’ Toys for Tots program). @15 is a special segment within Best Buy Children’s Foundation, designed to empower youth. Through @15, teenagers advocate for and advise about the programs that will receive funds. It’s a wonderful learning opportunity for the teens, and ensures that the programs kids really care about are supported. @15 Best Buy Scholarships have been helping fund higher education for needy students since 1999. This year, 1,000 students will be rewarded for their academic achievements, volunteer efforts, and work experience. Since its inception, the @15 Scholarship Program has seen awards totaling nearly $13 million to more than 10,000 students. The Community Grants Program is administered by Best Buy employee groups through the Best Buy’s Children’s Foundation. The employees select non profit organizations (NPOs) that they would like to support. Their guidelines? The NPO must provide services and programs that provide opportunities to young teens related to education, leadership skills, life skills, or relationship development. This year, the Best Buy Children’s Foundation will give away $1 million through the Community Grants Program! And, each Best Buy store is individually empowered to support its local community non-profits. Stores can donate Best Buy gift cards to help NPOs with their fundraising efforts, as long as they are located within 50 miles of a Best Buy store and the funds go to support schools, libraries, educational, or after-school programs for youth. Best Buy’s Teach Awards help schools bring more technology to students with gift card donations. Since 2004, the awards total over $17 million to over 6,000 schools nationwide. At Best Buy, giving back to their communities is central to the way they do business. And the company’s level of giving is very impressive! 2008 was not a good year for charitable donations. Giving declined by 2 percent last year in the US, according to a report released this week by Giving USA FoundationTM. The decline in donations was the first since 1987, and the largest since these records have been kept. While nearly every sector saw big decreases in giving in 2008, human services and foundations were hardest hit, down 13 and 19 percent respectively. The declines stem from decreases in individual giving, but fewer foundation endowments and grants had a big impact as well. Nobody knows for sure when the economy will turn around, or when charitable donations will rise again. But things could change rapidly if the economy strengthens and people regain confidence in their employment and financial situations. 1. Ask. It’s that simple. Don’t be afraid to ask for donations. 2. Write clearly and concisely. When communicating with your support base, state your NPO’s needs clearly, and include a call to action (see #1, above). Assume they will give and thank them for their contribution. 3. Be consistent. Don’t make the mistake of reaching out often for six months, then not at all for the next six, only to follow with a flurry of communication again! Set up a regular schedule so your donors know what to expect. 4. Report results. Donors want to know their contributions are changing things. Be sure to tell them how you’re doing on a regular basis. They will look forward to hearing from you. 5. Timing is everything. Make your outreach pay by avoiding July and August, when summer activities keep giving to a minimum anyway. Four to seven times per year is about right for most organizations. 6. Ask for feedback. Once per year, ask your donors if your outreach efforts are in line with their expectations. Are they hearing from you too often? Not enough? Do your donors prefer phone, mail or email? You’ll get plenty of valuable suggestions if you just ask for them! Even though the foreseeable future is not a completely rosy one for nonprofits, the good news is that people are still giving—and this bad economy cannot last forever! All Nonprofit Organizations (NPOs) rely on their volunteers. But some NPOs, by the nature of their work, sometimes put their volunteers in harm’s way. You want to know you’re doing everything you can to keep your volunteers safe—and not only because it’s the right thing to do. It’s important to the financial health of your NPO to minimize all risks, including risks to volunteers’ safety. Share these tips with your volunteers. Then, enforce them every day. Don’t be a target. Regardless of the area your volunteers are working in, it’s important not to draw attention. Have volunteers leave their jewelry at home, and their purses or backpacks in locked storage at the office. They should carry only a driver’s license or other ID, plus the keys they need to operate the vehicle they are driving. Buddy up. Have your volunteers work in pairs at minimum. 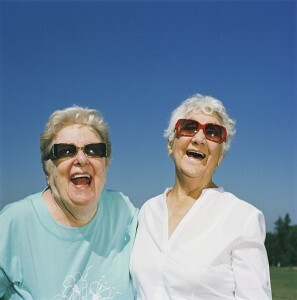 Partner older or frail individuals with someone younger and stronger. Be aware of surroundings. It’s important to keep looking around when walking down unfamiliar streets. Warn volunteers not to walk with eyes focused on the sidewalk or they’ll be easy to sneak up on. Help them identify safe havens like stores, fire stations, or service stations in the neighborhood they’ll be working where they can seek help if necessary. Avoid walking, driving, and stopping on poorly-lit streets. If they must stop, your volunteers should do so in a well-lighted parking lot at a busy place, such as a department or grocery store. Cop an attitude. Tell your volunteers to walk with heads held high, to look like they mean business, and to maintain a healthy degree of mistrust. It may be against their nature to be rude, but it could be important to their safety in certain situations. Parking safety: No leaving keys in the ignition. Try to park under a streetlight on a busy street, or even better, in staffed parking lots or garages. Don’t park next to large trucks or RVs. Check the back seat before entering the car. Do not leave valuables in the vehicle. Check-ins are a must. Everyone must call into the office at regular intervals when working in the field. Record your volunteers’ cell numbers so you can call them if they miss a check in. Consider having a couple of extra cell phones added to the organizational account to give to cellular-free volunteers. Everyone should have the means to make emergency phone calls at all times. If a volunteer is working in an area with no cell coverage, have them call from a landline and then record that number. These basic safety tips can keep your volunteers from becoming targets or victims of crime when working on behalf of your organization. By practicing caution each time they are in the field, it becomes second nature. And don’t anyone slack off on safety; remember that minimizing your NPOs financial risk is part of good management. And for an even higher level of protection, screen potential volunteers before you allow them to work with your clients, volunteers or staff. Good volunteer coordinators see their nonprofit organization’s (NPO) volunteers as more than just bodies filling positions. Knowing names and personal histories is the first step in fostering good relationships when managing people. It’s also important to know what motivates your volunteers, so you can keep them engaged and enjoying their service to your organization. It’s far easier to keep happy volunteers than to replace burned-out or disinterested ones! 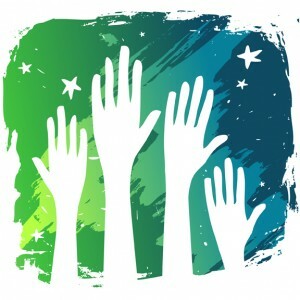 So, what makes people volunteer their time and energy to service and charity organizations? 1. People like to make a difference. Whether focused on their street, their neighborhood, community or the world, people want to know that their efforts are actually making a difference to another human being. Remind your volunteers of the changes they are bringing about through their work. They may be changing one life or making the entire world a better place to live—and they should know it. 2. Volunteering makes people feel better. Giving to others without expecting anything in return is reward enough for many volunteers. Many report feeling their mood brighten by seeing how others are affected by their work. Some volunteers get “addicted” to these good feelings—a real bonus for their chosen organizations. Do what you can to help make your volunteers feel good, and they’re more likely to stick around. 3. People like to learn. Many folks look to volunteering as an opportunity to learn new skills, or do something completely different than their profession. Keep this in mind as you assign tasks to your volunteers; don’t assume they’d like to perform the same tasks they’ve been doing for years! Switch things up when you can to keep people fresh. 4. Volunteers are “people people.” Many volunteers report their love of meeting new people as a big reason they offer their help to service organizations. If you have extroverts among your volunteers who are not getting enough people contact, you could lose them. 5. People love to support their favorite causes. Step inside an animal shelter and you’ll see animal lovers volunteering their time. Look no farther than the Boys and Girls clubs and you’ll find volunteers who relish the idea of turning around the life of a kid. If you need more volunteers, a great place to start looking is at your donor base. After all, these people have already demonstrated and interest in your cause! 6. Volunteers love to be active. Most volunteers aren’t good at the couch potato thing. These folks love to be out and about in the community, knowing what’s going on, and contributing to society. Keep your volunteers busy before they get bored and move on. 7. Everyone like perks. Some people are ushering at the local theater because they want to see plays for free. Others volunteer at art museums to get their fill of paintings and sculptures. Still others just like to be included in the annual volunteer appreciation luncheon. Bear in mind any perks you can offer your volunteers to keep them happy and show your thanks. 8. Some folks love seeing how things work. Certain volunteers get a kick out of seeing how a food bank or health clinic works. Others are more event-oriented and love working on parade floats, or setting up food booths and music. These behind-the-scenes people are vital to many NPOs’ success stories. Remember that not all your volunteers want to be on the front lines.